I’d like to thank Lynna Banning who invited me to answer her questions and talk about my hopes for my newest novel. Over the last seven years, Lynna has become a dear friend and mentor to me. She is also the author of my absolutely favorite book of 2012, GAUCHOS AND GUMPTION, which is based on her own grandmother’s adventures in Argentina at the beginning of the twentieth century. > What is the working title of your book? This title came from the women artists’ San Francisco art organization that offered day-long train excursions to Monterey so the members could sketch and paint the marvelous scenery. > Where did the idea come from for this book? 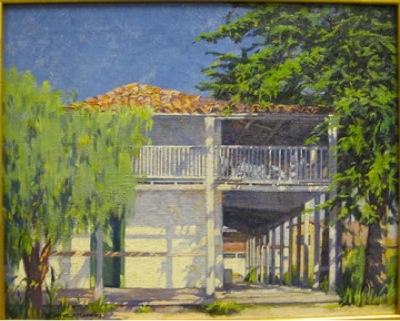 My agent suggested the subject after she had seen a show of California Impressionist paintings. I was very excited with the idea because I was familiar with and loved these vivid works of art. I have spent a good deal of time on the California coast, taught art for years, and enjoy writing stories where ambitions and passions intertwine. > What genre does your book fall under? After happily writing historical romance for years, this story seems a perfect segue into the world of historical fiction. > How long did it take to write the first draft? I guess you could say I am still working on the first draft. I edit as I go, so a first draft takes me quite awhile. But with any luck at all, I have a manuscript that usually only needs light revisions when I reach the end. > What actors would you use for a movie rendition of your book? > What is a one sentence synopsis of your book? THE SKETCH CLUB is an intimate portrait of the lives and loves of four women painters who struggle for recognition as members of the Monterey Art Colony at the turn of the twentieth century. > Will it be self published or represented by an agency? It will be represented by the agent with whom I’ve worked for some years. > Who or what inspired you to write this book? Research is always how I find my way into a story and what inspires me as I write. 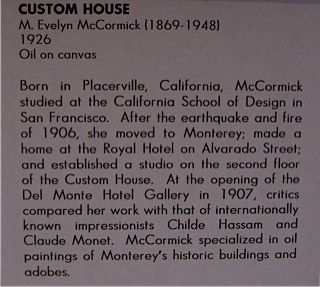 For many months, I read about the artists who lived and worked in Monterey, visited museums and studied the paintings these women artists have left behind. As I did, I came to see each of them as talented individuals who made extraordinary art in a period when critics did their best to dismiss women artist’s work. In reading about their struggles and the Bohemian lives they lived, I came to see each of these artists not as historical figures, but as living, breathing women with stories to tell. > What other books would you compare this story to within your genre? Readers who enjoy the books of Susan Vreeland (author of GIRL IN HYACINTH BLUE) and Tracy Chevalier (author of THE GIRL WITH THE PEARL EARRING) might well enjoy THE SKETCH CLUB. > What else about your book might pique the reader’s interest? I hope that readers will be fascinated by the same things that made these real women compelling to me: that each faced her own challenges. One must weigh her artistic ambition against her marriage to successful muralist. Another must silence the self-doubt instilled by her domineering father. A third is forced to make the heart-breaking choice between her child and her career. And the student who comes to learn from each of these remarkable artists, must decide if she can marry a man she fears she cannot learn to love, so she can keep on painting.